Spring is the time to refresh your smile, and there is no better way than with Invisalign. If you’ve been putting off straightening your smile now is your chance to have the straight, beautiful smile you deserve without anyone knowing you’re making a change. 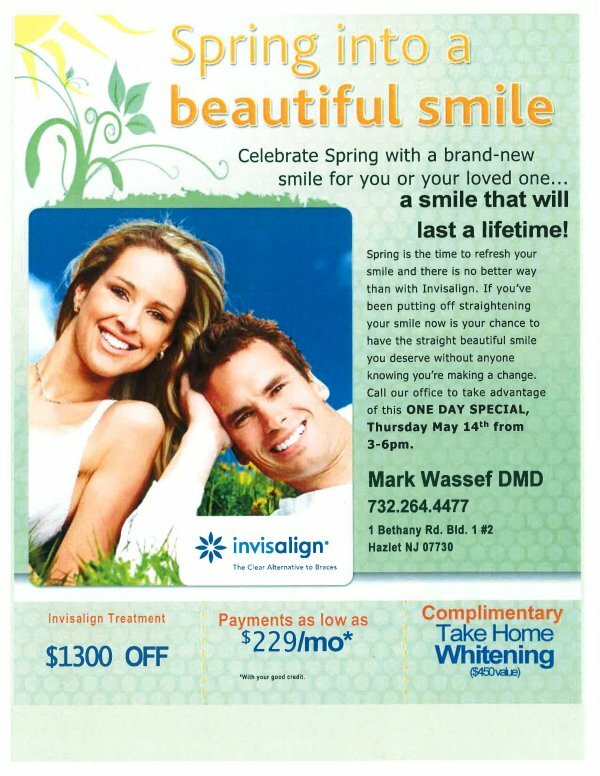 Call our office at (732) 264-4477 to take advantage of our ONE DAY SPECIAL, Thursday, May 14th, from 3-6 p.m.